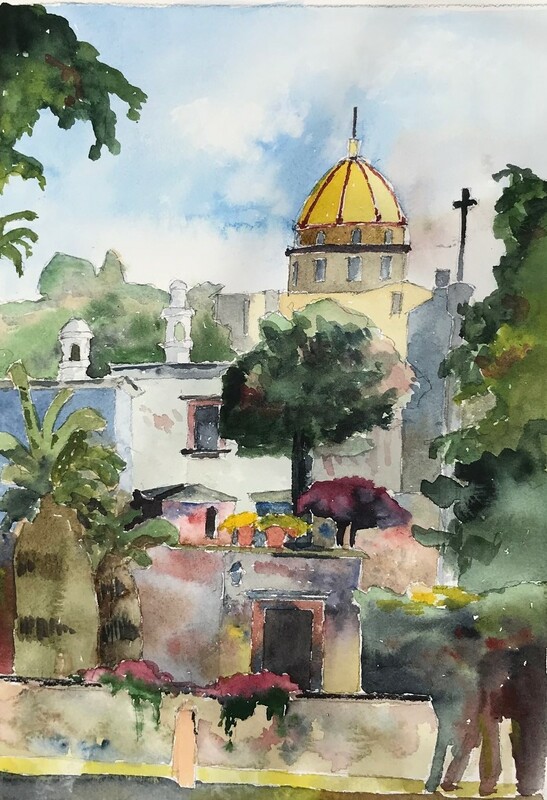 This painting completed en plein air is really a mixture of typical San Miguel memories where I have not included those things that are atypical, such as the cedar trees. The two palm trees in the foreground are very familiar realities. Feedback for "Vista de San Miguel"
Purchase Inquiry "Vista de San Miguel"